Wow that place has style and character like I’ve never seen around Addison. The food was amazing. We had a company luncheon there and everything they served was amazing. The sauces, chicken, beef, salad, it was all perfect. Definitely recommend this establishment. I am so pleased that I was invited to dine at this retro-hip, time machine of a restaurant! 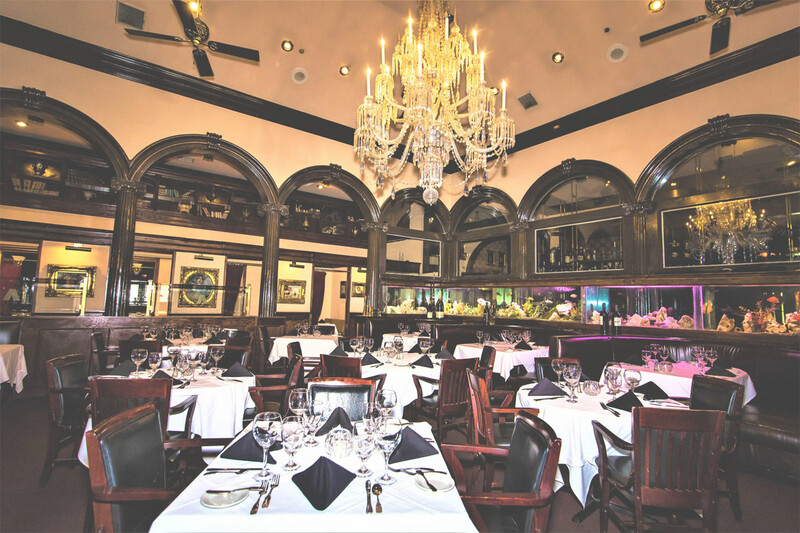 Slightly off the beaten path in Addison, this hidden gem of a fine dining restaurant is layered in slightly faux opulence, but that absolutely does not distract from the delicious food they serve, and the professional waitstaff’s skill at meeting your needs. This is a flashback to 1980’s power-lunches, with generous martinis served over ice blocks, prime steaks cooked to immaculate perfection, and rich sauces to add that extra dash of decadence. This reminds me a lot of Steve Fields Lobster Lounge, with similar, older clientele. The menu is pleasingly dated (e.g. lobster thermidor, potatoes dauphinois, grand mariner soufflé) so don’t expect “foams” and “infusions.” They are rock-solid on the steak temps, with the size of the delicious prime cuts clearly exceeding the stated weight. You WILL have leftovers. I am so pleased to find another retro-hip restaurant that actually exceeded expectations. Keep up the good work, folks! From the moment we walked in last night everything was perfect. The service impeccable. We decided to get best of both world in the surf and turf… The both just melt in your mouth. Their wine selection is almost over whelming in the best way. The atmosphere is like no other place we have been. The rich wood.. Ambient lighting. Everything about our experience was unforgettable and we will be back! Thank you Arthurs for much needed magical night out for 2 parents who do not get to have dates often!!!! Formal looking place, but they didn’t mind I was in jeans and soft collared shirt. Interior reminds me of the elegant scenes of the Titanic. The filets were wonderful. There was no cigarette smoke the whole time we were there. I visited this place for a friend’s birthday. We all ordered off the restaurant week menu. All of us were happy with what we got. I got lobster and lump crab cake for appetizer. Then I had the Shrimp avocado gulf red snapper as my entree and finished off with tres leches. The snapper was full of flavor and tres leches so yummy. Since most of us ordered different stuffs, we tried each other’s. The champagne Brie soup was my favorite. I enjoyed and finished every little bit. Our server Henry? (Cannot exactly remember his name) was amazing. He saw how much I enjoyed and commented on me cleaning the plate spotless. Haha. There was a live music. Overall, great atmosphere, great food and great service. Oh, the crowds were older and richer? I saw so many Bentleys, Jaguars, BMWs in the Parking lot. This is a very upscale plan. Dress nice. They have “red rooms” which are private rooms with candlelight dim. Great for dates or people hard of hearing. The waitress/waiter was very nice & quick. The bread was hard and crunchy. & the bread is what I go for at fancy restaurants. What I like is they bring a sorbet before meal to “cleanse” your taste bud or get it ready for the meal. That was nice and it was yummy. And private room should’ve had more lighting. All in all good experience. Definitely an “older crowd” or very high-class ambiance. This place had “too good to be true ” written all over it, but to my delight it was Perfect. My boyfriend had just returned home from a month business trip so i was looking for a pristine dinner experience to welcome him home! Made an 8:00 pm reservation, arrived and the ambiance was a dimly lit romantic dream! We were seated in private dining room which was another plus. We opted to order the 49.99 3 course meal. YES 49.99 3 COURSE MEAL! First course: (we ordered one of each option) the lobster bisque and Caesar salad The bisque was PERFECT, the best lobster bisque I’ve ever experienced. Im very particular about Caesars but it was the amazing! 2nd course: 8oz filet mignon and 8oz lobster tail Magnificient!!!!!!!!! Filet and lobster were cooked perfectly. 3rd course: grand mariner creme Brûlée and some sort of cheesecake (I’m definitely not a dessert girl but he loved it!) Everything was amazing from the valet driver to the hostesses and servers. We will definitely be returning soon. Great place to bring a date or meet one ; )Start with a excellent meal provided via great service and finish the evening dancing to live music in their lounge. Bonus if you live in Addison, because it’s close to home then! 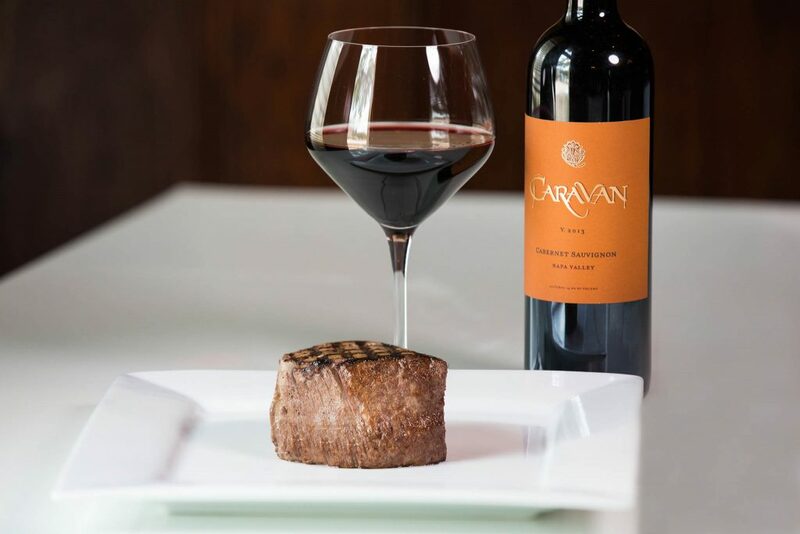 I’ve eaten at some of the best steakhouses in many different cities and have never had the quality of food or level of service that I enjoyed at this restaurant. The calamari was absolutely perfect, the filet was cooked and seasoned to perfection, and the lobster will make you forget any you’ve had before it. I’m not just suggesting you try Arthur’s, it’s definitely a bucket list destination for any connoisseur. Here for our 38th Anniversary! Perfect place. Setting, staff, food was all great ! Wish I would have known about the private rooms. Love the Aquarium and the music. Had a 50th anniversary celebration here and it was beyond words!!! Melinda Lee, the event coordinator, had worked with us and she pulled it off and over the top!!!! The food was wonderful; the room was decorated beautifully. The staff that waited on us, Richard and Joel, were the top. I would recommend them for a party and certainly for a nice evening of good food, and adult quiet. We have eaten there many times but first big event. Thank you, Melinda!! Fantastic steak! I had the ribeye and it was as good as it gets. Very busy night and the service was still outstanding. This has become my favorite steakhouse. My wife is not a beef person and she loves the filet here. Elegant environment! Dress business casual or dress up. My parents can’t hear well, but they heard me for the first time in years! I love Arthur’s! My husband & I visited on our last night in Addison. I didn’t really know what to expect, so we went in with open minds. We spent our time in the spacious bar area. The ambience is a luxurious steak house feel: dimly lit with candles, rich woodwork, a blazing fireplace. It’s nice because there are multiple rooms throughout the area, including a library-like smoking room & a beautiful long hallway equipped with leather arm chairs & ash trays. There is also a dance floor. A live band begins playing at 9. Until then, they pipe in the singer playing piano in the main dining room. We enjoyed watching an older couple slow dance cheek to cheek. The bartender Claire is top notch. She took great care of us all evening! We ordered dirty vodka martinis with the special request of blue cheese olives, followed by glasses of their yummy house Cabernet & Chardonnay. The bartender in training was very sweet & offered us a snack mix to nosh on. Love it. Very few places offer that anymore. On to the food. In addition to drinks, happy hour pricing is offered for 10-15 apps/dishes too! Having read some Yelp reviews, we knew we wanted the steak tip wedge salad with blue cheese dressing & chicken satay with peanut sauce & mashed potatoes. Both dishes were fresh, perfectly seasoned & very satisfying! This place really does it right. It’s old school & classy & I would definitely return if we find ourselves in the area again! We had the most wonderful dinner! My boyfriend had the Dover Sole and I had the Filet Mignon. They were both the absolute best we have ever had!! The Gran Mariner Creme Brulee was to die for!!!! Owner Mohsen Heidari is a wonderful and gracious host and made sure we were comfortable and taken care of. If you want a romantic or just a nice evening out, I recommend you make a reservation and treat yourself to a beautiful restaurant with warm and welcoming people working there. I don’t know where else I can go to get that kind of service and quality. They treat me like a celebrity every time and I’m not one. Food is flawless. Atmosphere, Frank Sinatra would have been right at home. Strongly recommend Arthur’s. I have now been there only twice, and had a fantastic meal of osso bucco. FANTASTIC! ! The special of the night was steak and lobster for $49.95, and four friends had it and raved about the taste and quality. Service was fantastic. An older crowd definitely in the bar. The interior of the restaurant is totally different than expected. Nice, upscale setting. Service was quick and consistent. We had a bottle of wine, champagne brie soup, bacon wrapped scallops, sea bass, and filet mignon (with sides). For the most part the food was great/cooked correctly. Their signature soup was superb. The bacon wrapped scallops weren’t as good as I had hoped but still an interesting take on the appetizer. Great spot for a date or an upscale business dinner in the Addison area. The best meal which I had during a five day trip in Dallas, TX area. The steaks were cooked to perfection. The service was impeccable. Thank you Melissa and Rich for the experience. First time here. Very impressive dining room! Our waiter, Marty gave impeccable service while being very personable. My wife and I feel like we made a new friend. Now the food. St. George’s scallops wrapped in bacon were perfectly done. Moist ant tender with a delicate crunch of the bacon. Vicki had the a Surf and Turf which is an 8 oz Filet with a lobstr tail piggy backed on its shell. Both flavorful and tender. I had the bone in ribeye which was stellar. Great full flavor and as tender as Mary’s heart. For fun, I had the steakhouse onion rings. I’ve never had onion rings with steak before, but these were wonderful, and matcheddar very well with the steak. Dessert, don’t pass up the black and white cheesecake. Made in house, very fresh, light and delicious! Overall our first visit was outstanding! Wonderful ambiance, impeccable service and delicious food. We will be back! Book your reservation now online!